'Fraid I'm still stuck deep in the admin part of moving house - why does there have to be so much to do? It's so complicated, I can't wait for holidays. 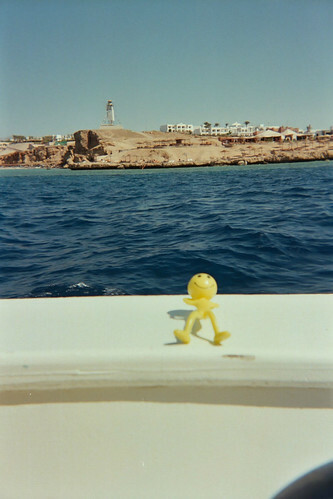 Speaking of holidays -can you guess where the little plastic guy with the insanely happy smile is in the photo? He's got the right idea! btw The Low Anthem review @ The Tabernacle is in the process of being written, nearly there.